Early in its history Amtrak created quite a stir (let's face it, a stink) when it promulgated a rule that all cars carried in Amtrak consists had to be painted in Amtrak colors, including private cars. 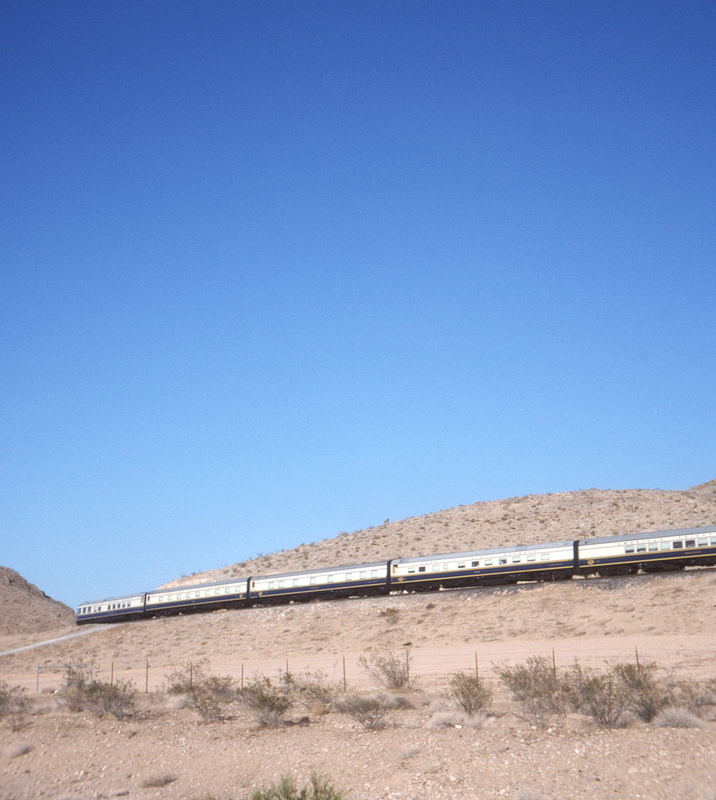 Evidently by 1996 this rule had been sufficiently relaxed that the American Orient Express' attractive paint scheme was considered acceptable, although locomotives in Amtrak regalia still headed the train. Alas, the AOE lasted only until 2008 due to financial losses.